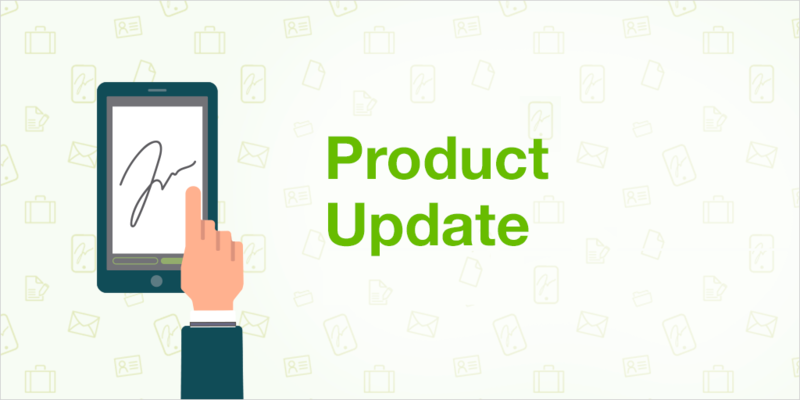 The year is passing by and we are continuing to add updates to our product to facilitate its use and so that you are increasingly satisfied with it. If you want to know all the details on this update then keep reading. Configure your template and document widgets as editable, or non-editable, directly from your dashboard. 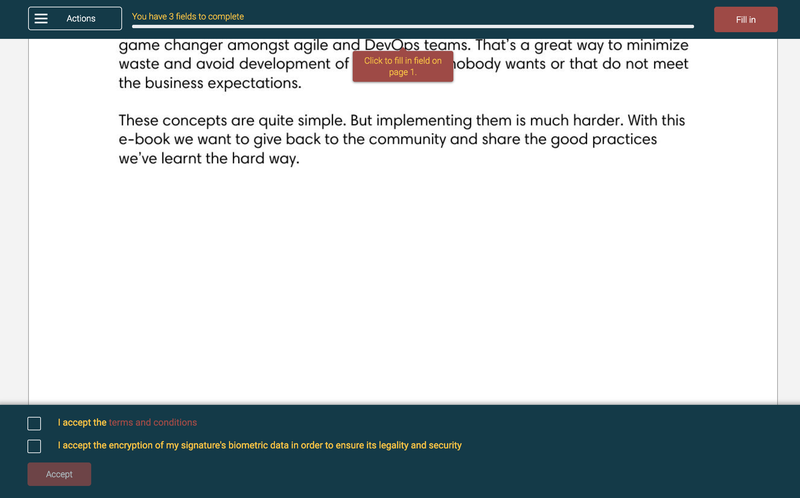 In this way, you decide whether you want a default value to be written in the document in a particular widget space, or if you want your signers to fill in the information themselves. We'll give you an example for greater clarity. 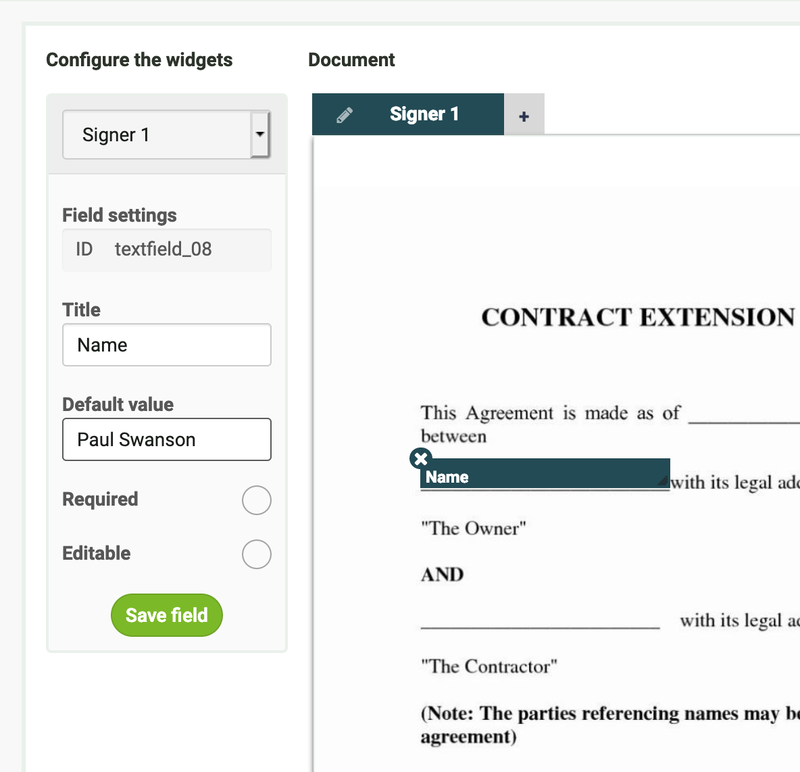 In this example, the default value "Paul Swanson" will be printed on the document when it is opened in the signature environment and the signer cannot change it. The result is more flexibility for your signature flows. Our users informed us about some problems they were having when it came to downloading their audit trail (probative document) in parallel and batch signature requests. We have solved them! Thanks for your help. Now you can configure your signature requests so that only signers with correct personal identification documents can access them. 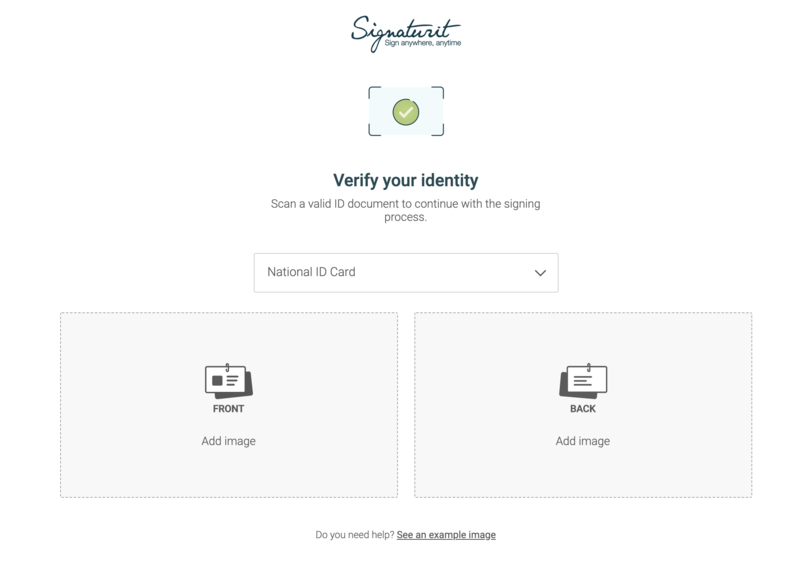 It's a more secure way for you to control access to your documents and make sure your signers are who they say they are thanks to our online identification solution. You can define a set of rules to control the characteristics of identity documents such as name, surname, type of ID document, ID number or degree of authenticity. We will also add the possibility of controlling access through the document's expiration date very soon. If the document used matches the rules you have configured, then the signer can access the document. Otherwise, the signer will only be able to access the document until their document matches your rules. Our Italian customers and signers can now have a better Signaturit experience as they will enjoy using us in their own language. Great news :) Brillant! Remember that the languages can be changed within the account configuration on the dashboard. We're almost ready to replace our current signature environment with the new one, which by the way looks pretty good. 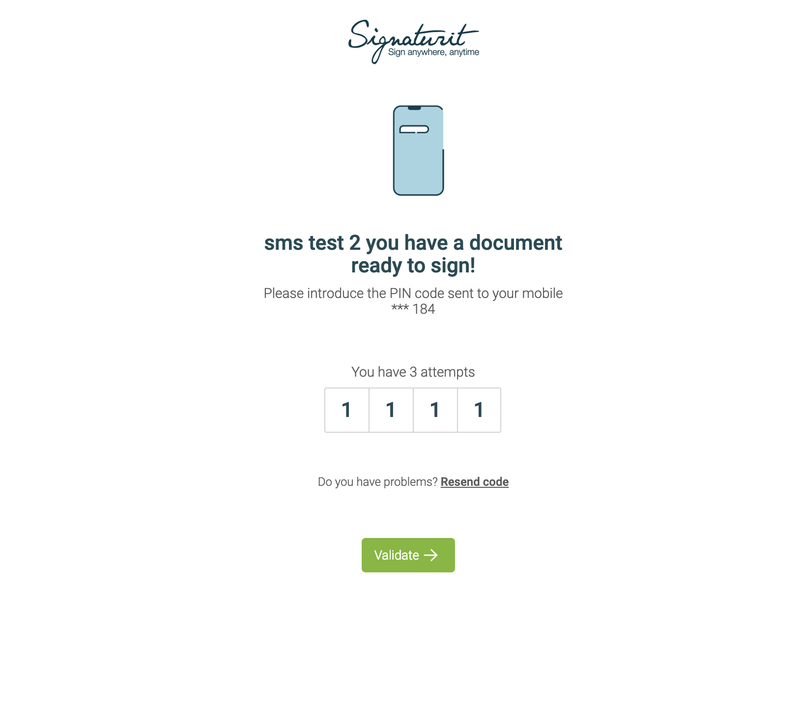 This month we've added SMS validation. Another step! Cool. Ask our Customer Success team if you wish to test it by sending an email to support@signaturit.com and try it out for yourself. We've improved the signature requests for multiple documents and the parallel signature processes to receive reminders in a more consistent way. Soon we will announce more improvements to this reminder functionality. Passwords, both those created for new accounts, or those that are changed for existing accounts, will require a minimum of 8 characters for improved security. If you have a password with fewer characters, we recommend creating a new one with the established minimum. We're enforcing legality and trust all around our platform so you'll have a new event in your Audit Trails which proves, beyond a shadow of a doubt, the acceptance of the Terms and Conditions, as stated in our signing environment. This will tie everything together, between the audit trail and the signed document, improving even more the security and legality of our solution. We are continuing to work on our qualified signature and soon we will launch more solutions related to digital certificates.